The year 2018 has been passed with amalgamate of positive & negative feelings that includes happiness, joy, compassion, serenity, sadness, & disgust. 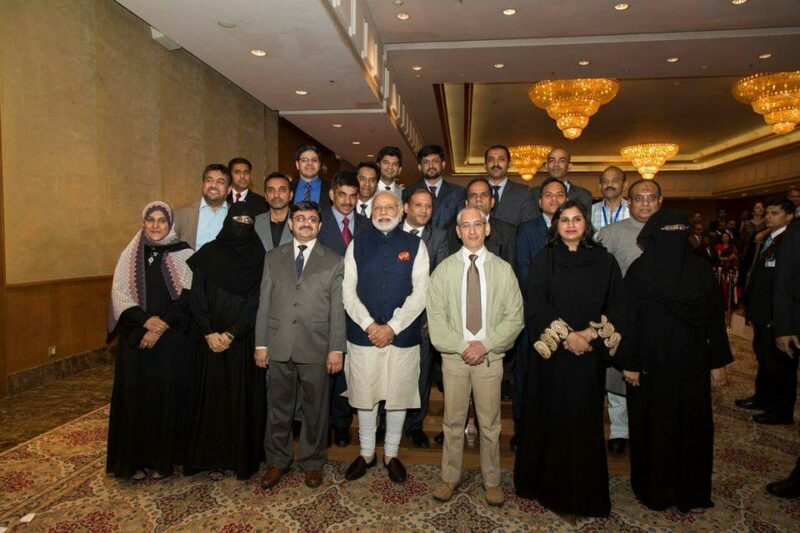 Here is a reflection from our social microsystem where we work as an Indian expatriates academicians in one of the Saudi University. Such feeling of sadness clings for the long time with our memories especially when one of the members from our cohort passes away in an unexpected manner. Ours is a multi-ethnic work setting where employees came from diverse ethnic, linguistic & national background. It was around 8.30 pm on Saturday of 27th October 2018 when Dr. Prashant called me to inform that Dr. Vinoth Kumar suffered with a massive heart attack. An hour back, he was completely fine sharing his moments with family at his apartment& in morning of same day went to his kids school for parents meeting. It was close to 8.00 pm that he felt breathless at his home & on the way to the hospital, he started to gasp. By the time he reached the emergency, there was a delay of more than twenty-five minutes. Though resuscitated but unfortunately, his brain suffered massive injuries. From this moment he was not able to regain his consciousness till his sad demise that took place almost a week later. On 29 October, he was shifted to an apex hospital located in capital city of Saudi Arabia. After seven days on ventilator, he was declared dead on 04th November/2018. At the age of twenty four he was diagnosed as diabetic. Unfortunately, he was suffering from a denial of chronic disease & it appeared fatal for him. A doctorate in computer sciences, he was working as lecturer in the Computer Sciences department at Majmaah University for the last nine years. He came from a Tamil speaking family of Village Govathanagiri (Avadi) located in close vicinity of Chennai. 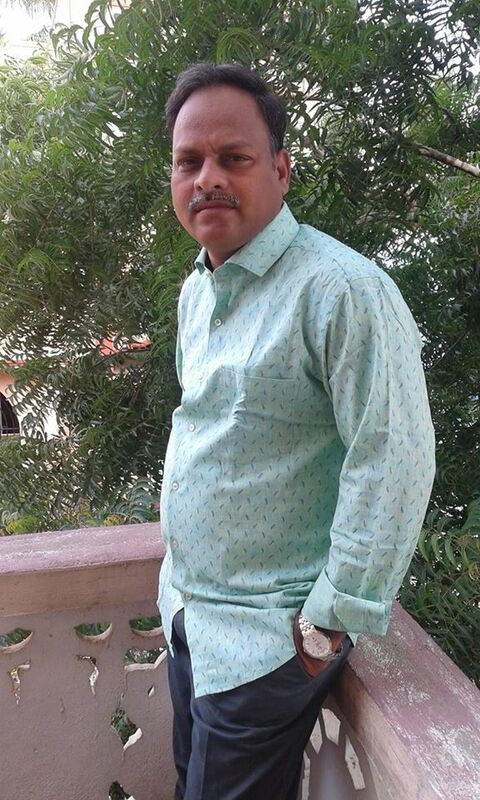 Other than his professional affiliation, he was also nominated as the member of Management committee of Indian International School, Al Majmaah from 2015-18. 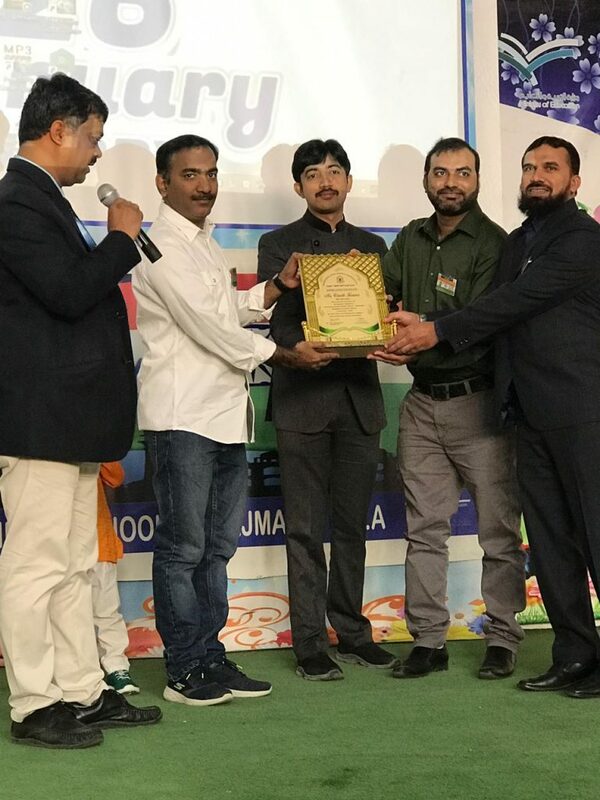 His appreciation certificate was received by a colleague Dr. Radhakrishnan from Principal & new committee members on the republic day celebration of 2019. From the day of his cardiac attack up to the moment when his mortal remains were shifted back home to India, we witnessed the compassion, empathy, care & assistance build on the ramparts of human virtues. Dr. Muhammad (Arab speaking Palestinian physician) of family health services himself drove the ambulance. A voluntary effort in an anticipation to save the crucial time as hospital ambulance took the time to reach the distantly located venue, the university staff member’s accommodation. A Muslim car mechanic (Hussain bhai) who belonged to his hometown offered support to the family members of Vinoth like an elder brother. The wife of Dr. Vinoth was waiting for miraculous news with hope in her heart for the recovery of her husband from ventilatory support. Their centrally air-conditioned lavish apartment became a trigger of traumatic memories for her in absence of Vinoth. It was Hussain’s bhai small apartment that gave a soothing relief to the broken heart of Vinoth’s wife in all these days. Our Indian colleague’s relentless efforts were much stronger than the support that received back home by extended family members. Each day & night was like an endless wait for the Vinoth’s wife when she was expecting for a divine miracle to happen. Her husband was lying on ventilatory support at apex hospital in Riyadh around two hundred kilometers away from her residential town. It was again many known & unknown families that appeared as a counselor & helper for the sustenance of poor lady when doom fell on her. Then one day she received a call from a hospital to show up at the apex center. Her mind was weaving positive thoughts regarding the recovery of her husband but the reality was equally worst & devastating. She was a Pakistani Doctor, a fellow colleague who drove Vinoth’s wife two hundred kilometers for a visit to the Intensive care Unit of treating hospital. The doctors called her to provide the consent for the weaning the ventilator support as all signs of brain death were explicit. Receiving devastating news, she made herself resilient to face the outcomes of the doom that came up on her family. The time came multiple administrative clearances were required from the hospital, University authorities, Indian embassy & Saudi authorities for shifting the mortal remains to his hometown back in India. 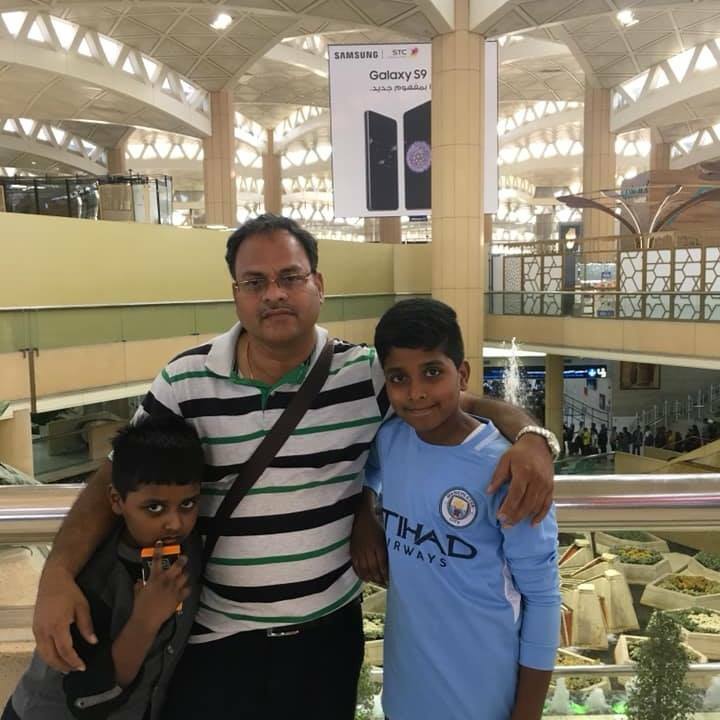 (Mr. Sidhikh Ibrahim & Mr. Rafeeque Mecheri) of Kerala Muslim culture center, Riyadh branch did relentless job for the timely completion of official formalities needed for shifting of Vinoth’s mortal remains from Saudi Arabia to his hometown in Tamil Nadu, India. His wife & kids reached India on 14th November. The mortal remains of Vinoth were taken India on 15th November, & the next day, it reached his home village in Chennai. The last rites took place at his home village on 16th November at 6.00 PM Indian time. All the expenses such as family travel, body transfer charges, embalming charges and coffin charges were completely borne by the university. The event centered on the sad demise of Vinoth’s reflected the lessons of love, compassion, empathy & tolerance. The prominent lines of caste, creed, language, religion, region & nationalities were erased in this microsystem. Indian, Pakistani, & Arabs were praying for his recovery. The loss for Vinoth’s wife & his kids was immense but the collective support seems to alleviate her pain during most traumatic days of her life. May his soul rest in peace. At the age of forty-two, his departure was early but death is an inevitable truth of our mortal life. In the days when divided lines of caste, creed, region & religion tarnishing the virtues of human values. Back home lynchings & mass killings by Islamist extremist in neighboring Middle Eastern countries are the worst example of these hate crimes. These small unsung stories of hope & solidarity needs loud articulation in such testing times. Such events do give a ray of hope. A thirteenth-century poet & dervish Rumi’s quote seems to be contextual here “Do good to the people for the sake of God or for the peace of your own soul that you may always see what is pure and save your heart from the darkness of hate”. 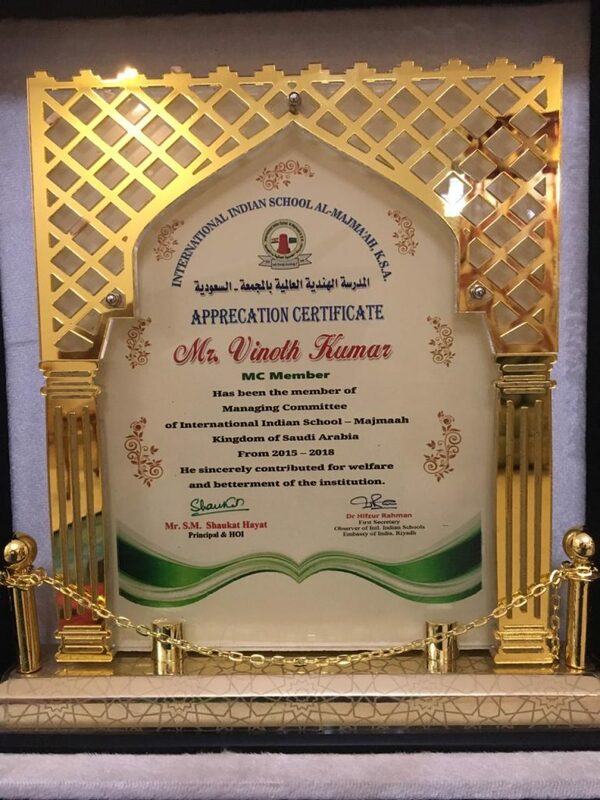 Acknowledgements: Thanks to Dr. Radhakrishnan & Dr. Prashant Kashyap for providing Dr. Vinoth Kumar hometown details along with photographs of 26th January/2019 award reception at Indian International School, Al Majmaah. On 20th July 2018/ 06th Dhulqada/1439 Hijri Sheikh Maulana Akhtar Raza Khan Qadri passing away shocked the entire fraternity of Islamic world that includes millions of his lovers & disciples (Mureeds) spread across the globe. Sitting in the blessed company of Hazrat Syed Shahid Noori at Rampur, I was showing the picture of the grave of my beloved friend Hazrat Aqib Farid Qadri (Dada) who was buried at 4.00 pm (UAE time) at Al Qouz cemetery 2 in Dubai. Suddenly the phone rang & Mufti Shahid Sahab went outside the room to receive the call. It was the shocking news regarding the departure of Hazrat Sheikh Maulana Akhtar Raza Khan. It might be a coincidence or the love between the spiritual successor (Khalifa) Hazrat Aqib Farid Dada & Tajush Sharia, that the soul of the spiritual master left this world hardly one & half hour after the burial of Hazrat Aqib Farid Qadri (May Allah be please with him). Within the minutes, the news has been spread across the globe on social media (Twitter, Whats app & facebook). Born on 02nd February 1942 at Mohalla Saudagran, Bareilly, he was the great-grandson of 20th-century Islamic scholar & revivalist, Imam Ahmad Raza Khan ( May Allah be please with him). He completed his early education under the guidance of his blessed father, Maulana Ibrahim Raza Khan, mother & maternal grandfather, Maulana Mustafa Raza Khan widely popular as Mufti Azam e Hind (Alaihir Rahmah). The spot caused by the separation of Madinah, causes my heart to shudder. My last breath should have been breathed at his Shrine. After a huge protest in UK, India, & Pakistan, the authorities at the embassy in Delhi issued a visa in May 1987 & he performed his Umrah with a visit to Holy Prophet ( Peace be Upon Him). During 2008 & 2009, he traveled extensively especially to the Levant (Syria, Jordan & Palestine) & Egypt. Here he visited the holy shrines of many Sahaba & other notable Islamic personalities. The meetings with the scholars of the Middle East revived the centuries-old connections of South Asian Sufism with scholars of Syria & Egypt. Some of those great scholars who wrote reflections & eulogies after the visit were Sheikh Ramdan Saied Al Bauti, Shiekh Abdul Huda Al Yaqubi, Shiekh Abdul Fattah Bazzam (Then Grand Mufti of Damascus), and Shiekh Muhammad Khair Tarshan (May Allah be please with them). In 2009, the Egypt trip also included the spiritual & scholarly exchange along with lectures in International conferences attended by the participants from more than sixty countries. Sheikh Sayyad Tantawi, the ex-grand Imam of Al Azhar, Shiekh Ali Gomaa (18th Grand Mufti of Egypt), & Sheikh Yusri were some of the renowned scholars who exchanged Ijazah & blessed with reciprocal gains from him. Tajush Sharia left a huge body of work & chain of the students who were spreading the tolerant message of Islam at different corners of the globe including the UK, United States, and European countries. “The world Muslim 500” issued by Jordan Royal society & the National Library of Jordan cited his name for four consecutive years in the list of world top fifty Muslims who influenced the Islamic world. The 2018 issue ranked him on 24th position among the top fifty Muslim across the globe. Among his followers, he was bestowed with many titles. Some of the famous among them Tajush Sharia (Crown of Sharia), Mufti e Azam, Qazi E Quza Hind (Cheif Justice of India for Islamic jurispedence). After his journey to the next world, the condolences came from different parts of the world. Al-Sheikh Imam Abdul Aziz (Alaih Rahma), the speaker of Nabhani foundation spoke in details. I had pasted the Arabic link for his condolence speech. He said: “the departure of respected Shiekh Allama Mufti I Hind, Akhtar Rida Khan Al Barelvi is the great loss for the entire Islamic world. This news has tarnished my heart. On the other side, the death of such an eminent person is the gift from the Almighty God where a lover is going to meet the beloved. Here beloved mean, the Prophet (Peace be Upon him). This is a great time of the test & patience for the Islamic world. My heart is weeping to imagine that I would not able to see him in this world again. But his blessed soul has departed to meet his great ancestor, Imam Ahmad Rida Khan ( Alaih Rahma). May God elevate his levels in paradise“. The essential Islam, an esteemed organization from the United Kingdom tweeted his departure to the next world in these words. The Grand Mufti of Turkey also offered his condolences and supplicate for him. One of our brother Mr. Qasim Hussain from the United Kingdom tweeted the condolence offered by Shaikh Sayyid Muhammad Al Yaqoubi. From India, the descendant of Sufi Saint Hazrat Sayyad Ashraf Jahangir Semnani, Shaykh Ul Islam, Sayyad Muhammad Madni aka Madni Miyan wrote delivered his heart-wrenching condolences in the form of poetry. Here are the few couplets & I also used one of the verse as the title of this obituary. In 1990, at the age of eleven, my father took me to the great Shaykh & as a long tradition of “Bait/Allegiance ” in Sufism, I was entered in Qadri order on hand of Tajush Sharia. From then I was blessed to saw him only twice, once at Bareilly (2014) & next time at Madinah Munawwara by the help of my late friend, Hazrat Aqib Farid Qadri and Professor Iqbal in 2015. Tomorrow at 10.00 am, the funeral prayer will be held at the Islamia College ground at Bareilly. His resting place will be the Azhari Guesthouse at Mohalla Saudagran at Bareilly where his great ancestors were buried in the close by location. Hundred of the thousands of his followers will be rushing from a different part of the globe to attend his funeral prayers. Indeed parting of the great scholar & savant of Islam will be highly missed in different corners of the world. Ending my write up with few couplets of Shaykh on his death. Acknowledgments: Many thanks to Syed Faizan Raza Son of Mufti Sayyad Shahid Raza Noori who helped in giving the translation of Al Shiekh Abdul Aziz condolence speech. He is currently studying at Al Azhar University, Cario, Egypt.